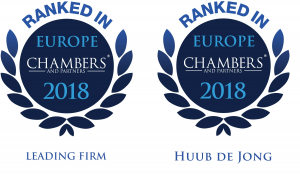 We are proud to note that Louwers IP|Technology Advocaten is ranked as Leading Firm in the prominent international Chambers guide 2018. Huub de Jong is geranked als Leading Individual in the area of IT and IT outsourcing. For more information see Chambers website.